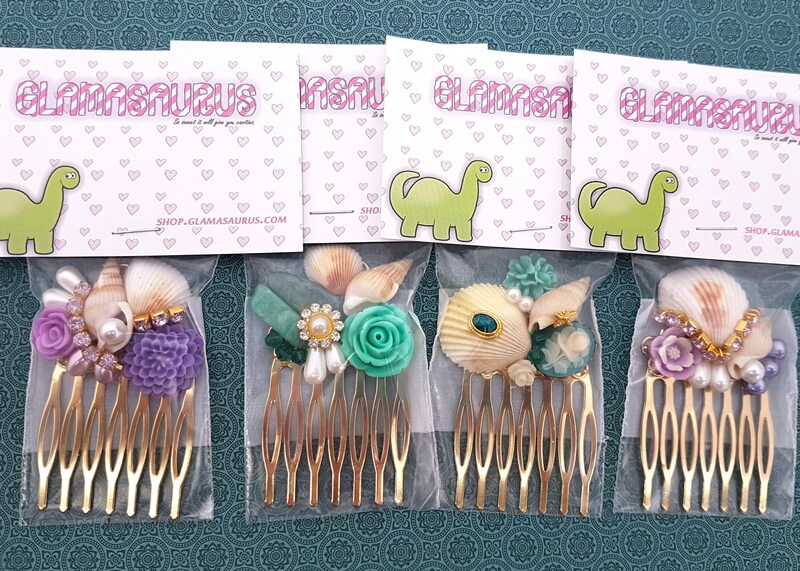 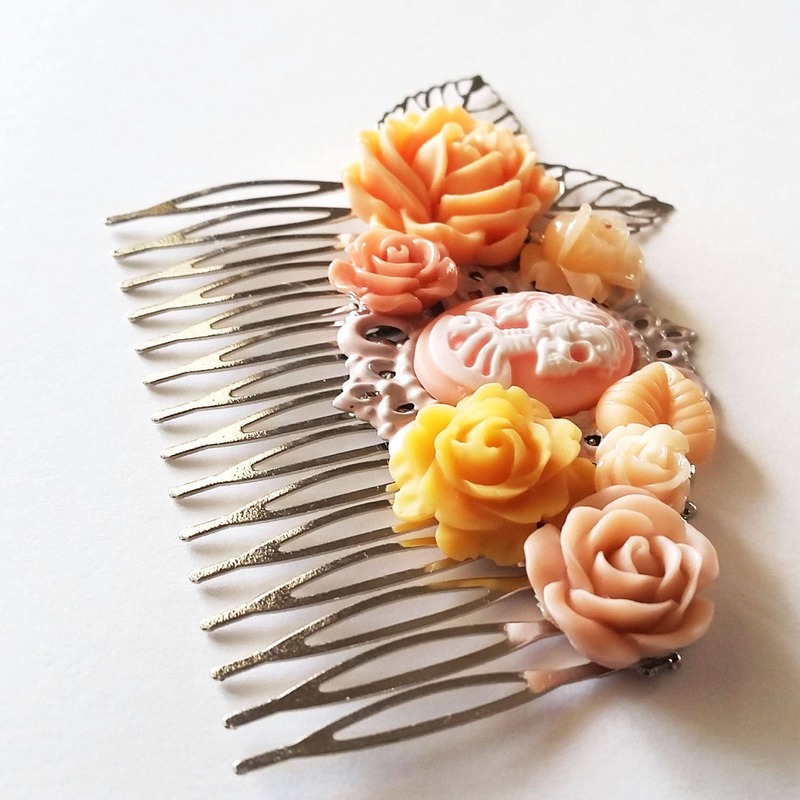 This comb is amazing. 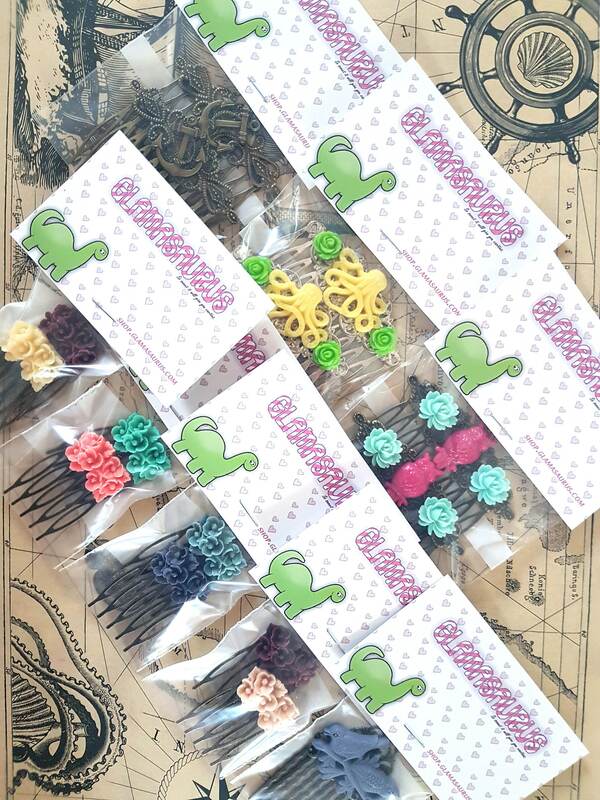 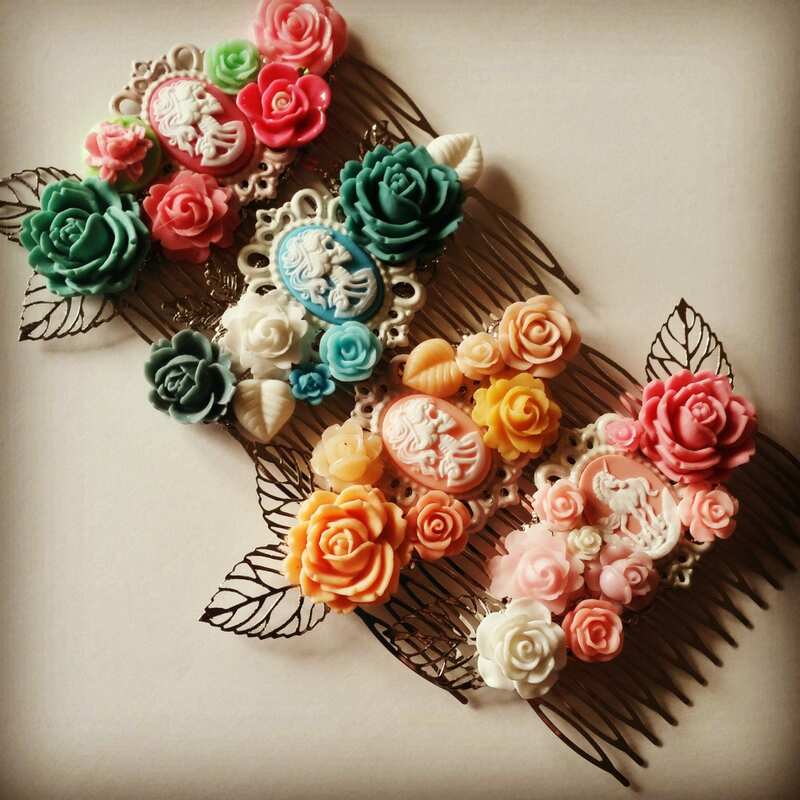 I recently made a headband for a friend using the same palette so I decided to make one for the shop. 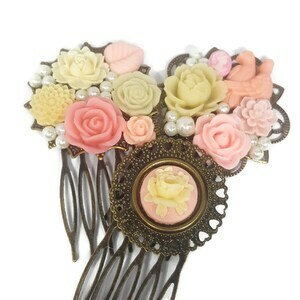 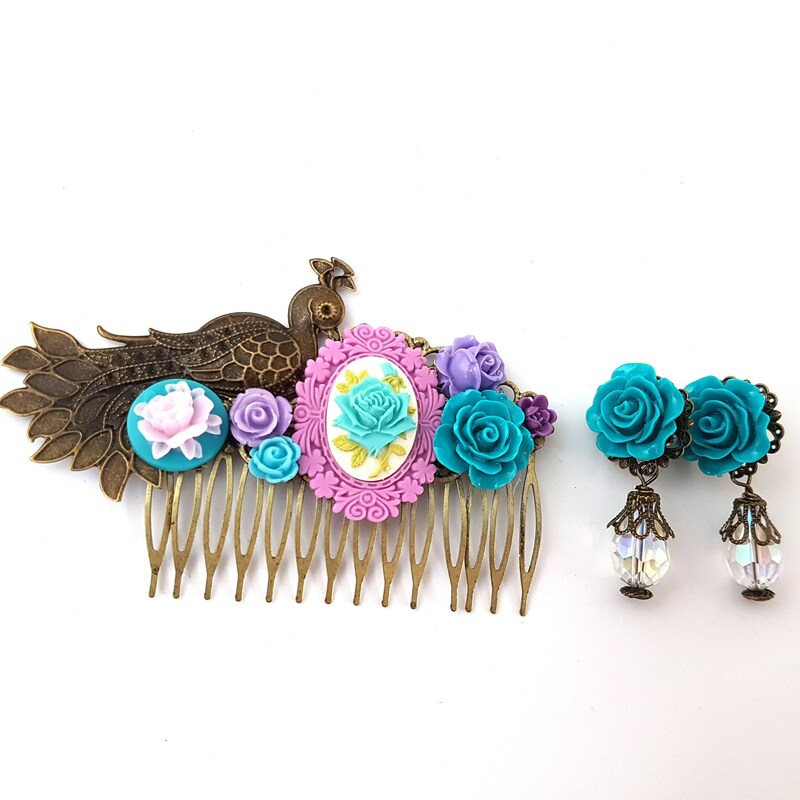 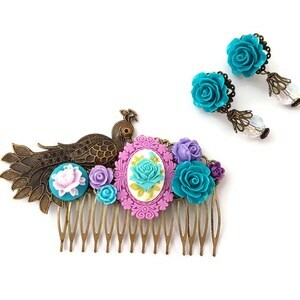 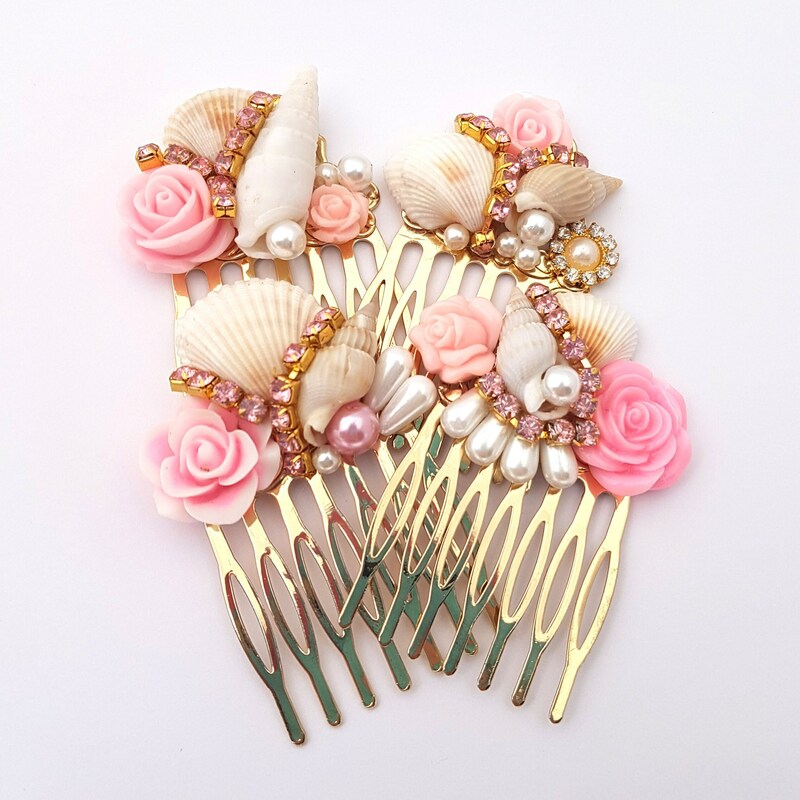 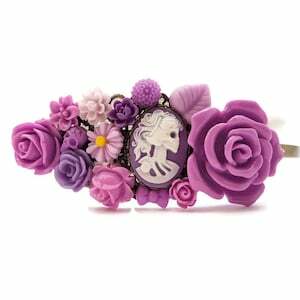 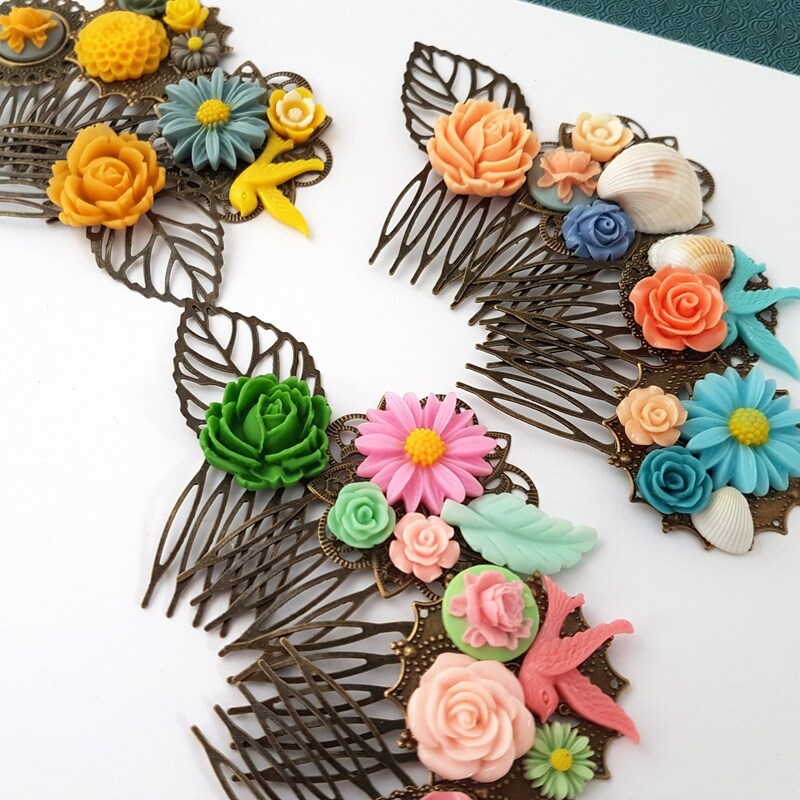 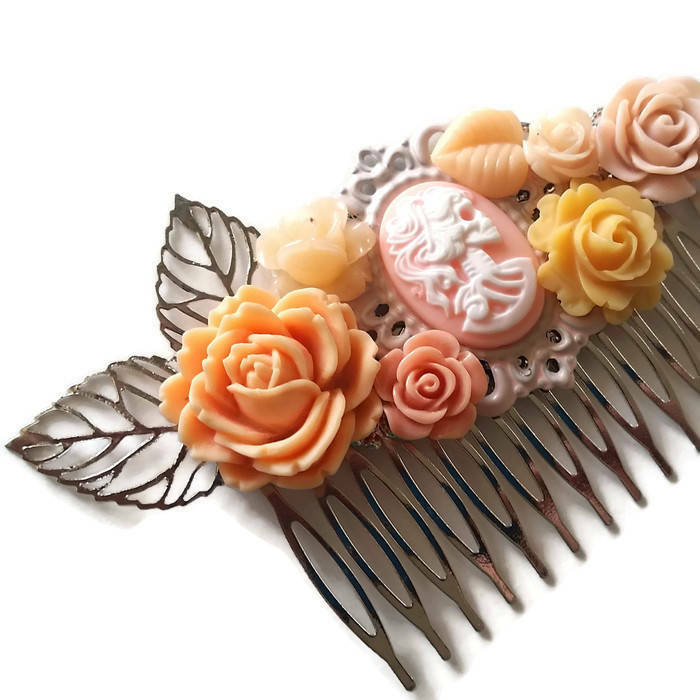 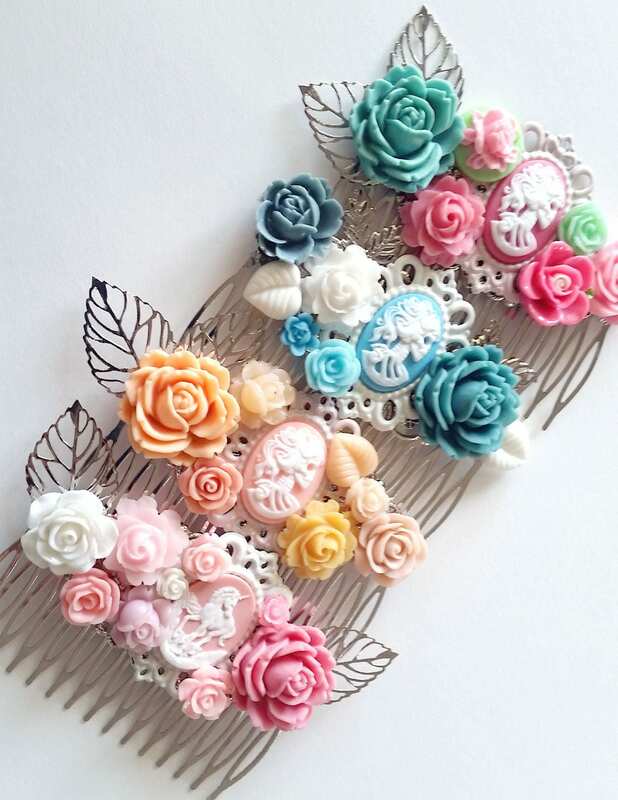 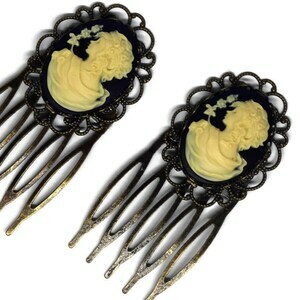 The comb features a light pink skeletina cameo surrounded by gorgeous resin flowers and leaves.